Add density to your hair and get a much voluminous appearance. Bain Densité was created to give body to hair with low density. Its continuous use promotes a more resistant hair, with more abundance and flexibility and with a light movement. Its action consists in activating the dormant hair follicles and strengthening hair fibre, creating in this way more texture, matter and solidity. Hair becomes totally dense and thicker. It provides greater texture, material and solidity. 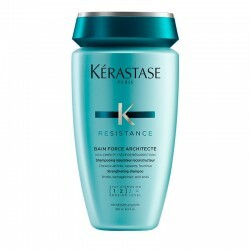 Resistant, abundant and flexible hair. How to apply Bain Densité? 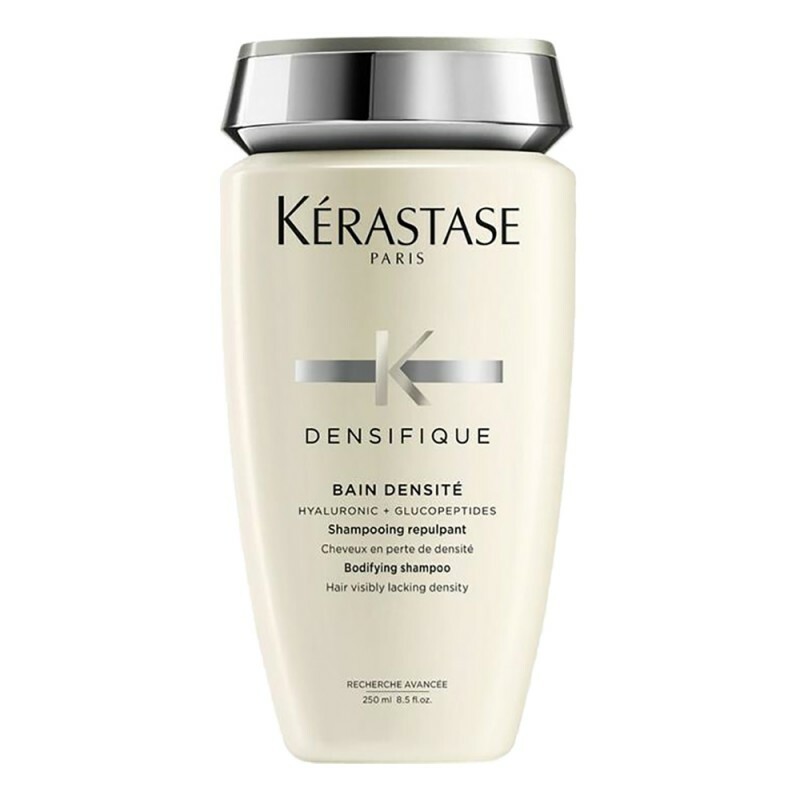 Apply to damp hair and emulsify through a gentle massage with your fingertips and rinse. 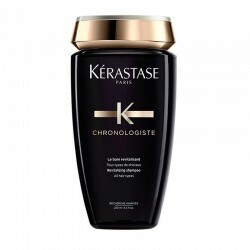 Make a second application so that the active ingredients deepen into the hair, intensifying its action. Rinse thoroughly. Hyaluronic acid: it moisturizes, resists and fills hair. It is a natural salt that retains up to 1000 times its weight in humidity. Glycopeptide: it provides textured hair thanks to its action in the deepest layers of the cuticle, compensating for surface irregularities and restoring homogeneity. Ceramides: they contribute to strengthening hair fibre. “Personally, I recommend two washes: the first to thoroughly clean the scalp and hair and the second one to achieve such desired denser hair mass. It must be borne in mind that rinsing is very important, especially for fine hair. If we don't rinse the shampoo abundantly, it's possible that the hair will be heavy and even look a little greasy." 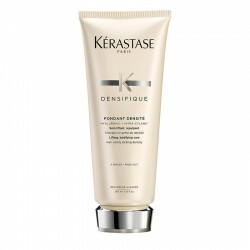 The Densifique range has been conceived with the aim of embodying and invigorating fine hair with loss of density. Following the recommended routine, hair will look stronger and malleable. 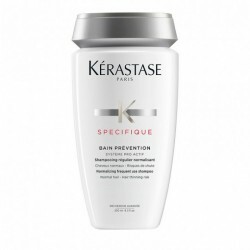 Shampoo that thickens fine hair. 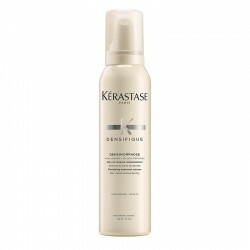 Conditioner that provides volume and thickness to fine hair. 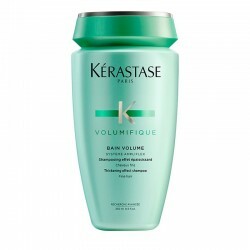 Foam that provides volume and density to fine hair.